Nigeria’s major development lender to businesses and the industrial sector, Bank of Industry (BoI) has set a target of disbursing N200 billion in form of loans and advances by the end of fiscal 2018. It said it has so fardisbursed N90 billion more loans in the first nine months of this year than it did in the whole of 2017. Between January and September this year, a total of N171 billion was disbursed by the bank as loans to various sectors of the economy, representing an increase of N90 billion over the N81 billion, which the bank gave out as loans under its intervention programmes to various sectors of the economy in 2017. Jonathan Tobin, executive director, corporate services, BoI, who confirmed the loan disbursement at a colloquium held on the sidelines of the Central Bank of Nigeria’s workshop on monetary policy implementation amidst global economic protectionism, said the bank is targeting total disbursement of N200 billion by the end of this year. 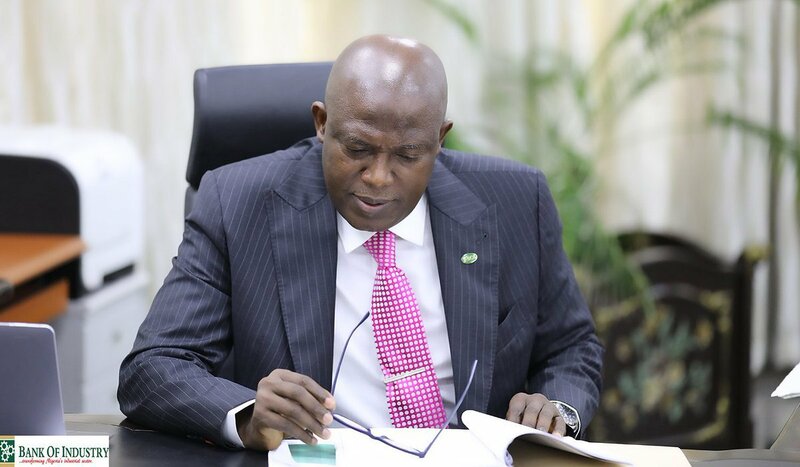 Tobin said out of the N171 billion loan that was disbursed by the bank during the nine-month period, the Small and Medium Enterprises sector got N23 billion. This, according to him, represents an increase of N15 billion over the N8 billion, which the small business operators received in the whole of 2017.
llion, noting that the bank was making efforts to further boost its funding to various sectors of the economy. He said the bank had created intervention funds for companies operating in the creative industry, manufacturing and gender-based businesses so as to reduce the unemployment rate in the country and create wealth for small and medium-scale entrepreneurs. Also speaking, Babajide Arowosafe, executive director, technical, Nigeria Incentive-Based Risk Sharing System for Agricultural Lending (NIRSAL), said the organisation would continue to de-risk the agriculture value chain so that banks could lend to the sector with confidence. This, he noted , would enable producers to borrow and use loans more effectively to increase output of better quality agricultural products.